vikings212187.jpg (14kb) downloaded 0 time(s). Oh....they may have SAID it, but it never actually happened! bear111.jpg (18kb) downloaded 0 time(s). bear 4e4e3q2.jpg (11kb) downloaded 0 time(s). The only Bear I like ! 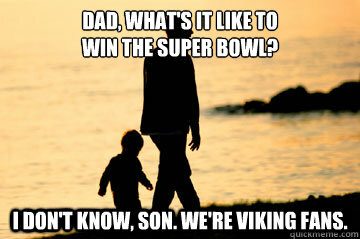 vikings123432f.jpg (14kb) downloaded 0 time(s). bears 129u63s.jpg (12kb) downloaded 0 time(s). That reminds me.....one time I was walking around our local WalMart store, when I spotted a teen girl wearing a "Winnie the Pooh" jacket. I couldn't resist.......I wrinkled my face like I was disgusted and said "EWWWW! You have POOH on your jacket!!!" With that, she looked shocked and said "WHERE??? WHERE???" I then got a big grin on my face, and she caught on! She turned RED, and started laughing! It was FUNNY!!! bears x41e4.jpg (11kb) downloaded 0 time(s). bears g54i8.jpg (7kb) downloaded 0 time(s). Damn, no Jay Cutler this week. Good thing it's a short week. food 43287.jpg (11kb) downloaded 0 time(s). Please don't feed the Bears . The 2017 version of the Loins looked pretty good today against the Queens. They have just enough offense and a pretty good defense to make me think that they may be a force to reckon with in the race for the North title. viking 11 (2).png (158kb) downloaded 0 time(s). All those seasons and not even a participation trophy . vikings 34297.jpg (10kb) downloaded 0 time(s). viking 43e53.jpg (20kb) downloaded 0 time(s). 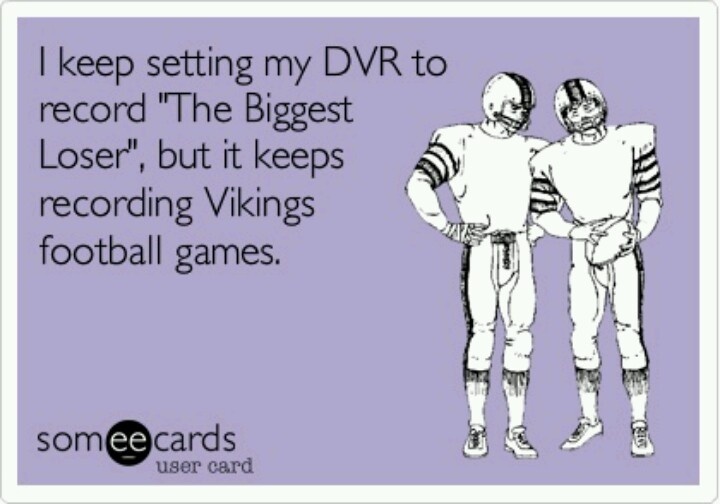 The Vikings piss me right off! Does this have to do with Pick'em? bears 2 (2).png (201kb) downloaded 0 time(s). This page was generated in 0.649 seconds.